Foxconn staff in China have been demanding better conditions for years. Consumer electronics manufacturer Foxconn is giving employees more union rights at its factories in China after criticism about working conditions and a series of labor disputes. The company, headquartered in Taiwan, said employees would get the chance to vote for representatives free from management influence, and top officials would be elected by secret ballot. Foxconn has been under fire for harsh labor conditions at its Chinese plants. The company makes an estimated 40% of the world's consumer electronics gadgets, including parts and products for Apple (AAPL), Intel (INTC), Microsoft (MSFT)and Cisco (CSCO). Pressure on Foxconn to act intensified after Apple joined the Washington-based Fair Labor Association at the start of 2012. The FLA went on to criticize Foxconn for several labor-rights violations, including requiring its employees to work excessive overtime and paying salaries that were too low to cover basic living expenses. Workers went on strike in October in protest over conditions on the iPhone 5's production lines, a month after 40 people were injured in a protest that forced the temporary closure of another plant. A series of suicides at Foxconn factories in 2010 sparked a wave of publicity about unsafe facilities. Foxconn said it was introducing the new measures in line with an action plan agreed to with the FLA following its March 2012 assessment. It said it would increase the number of representatives of junior employees on all union committees, and look to raise awareness of the union by distributing pamphlets explaining the changes across all Foxconn sites. "Following the pamphlet's publication, all Foxconn campuses have been carrying out elections to increase the number of junior employee representative positions," it said in a statement. "The management is not involved in any aspect of this election." The election of the chairman and other members of the group-wide union leadership would be held every five years by secret ballot, it added. 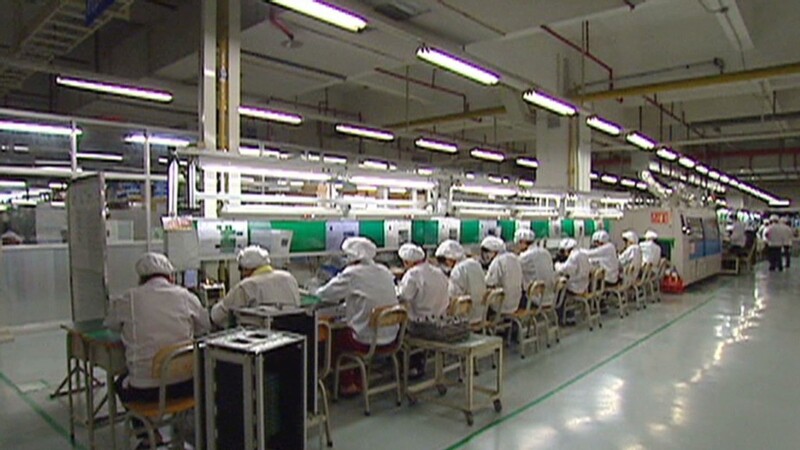 Foxconn has had a union in China since 2007, and held elections for representatives in 2008 and 2011. It says 70% of elected representatives at its mega-campus in Shenzhen are frontline workers and 30% are other staff and management. But it faces a tightrope walk between increasing worker democracy and satisfying the need of its western clients for improved conditions, and protecting its relationship with China's leaders, who would view the emergence of truly independent unions as a threat. 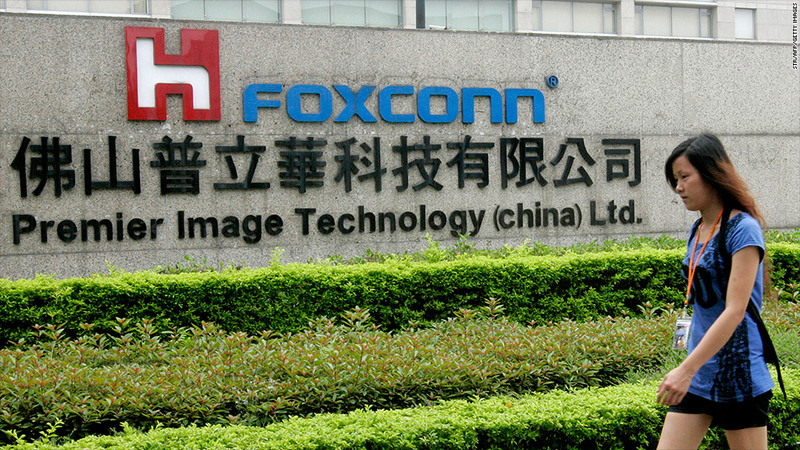 "Our hope is that our efforts in implementing these reforms will not only benefit Foxconn, but also help lift the standards and practices for our industry in China," Foxconn said. Unions in China are affiliated to the official All-China Federation of Trade Unions. They are supposed to represent workers' interests with management on issues such as health and safety and overtime but according to Dr Jackie Sheehan, associate professor in Contemporary Chinese Studies at Nottingham University, representatives tend to be hand picked to make sure they don't rock the boat. If they do, they're often dismissed or disciplined. Sheehan said the Foxconn move could be significant if the company followed through with the pledge to inform workers about the existence of the union. "Most Foxconn workers don't know they're supposed to elect their union representatives," she told CNNMoney. "Trying to educate hundreds of thousands of workers in Foxconn's case will take months, and many of them only stay six months -- it's like running up the down escalator." China was engaged in a very gradual process of reform and was keen to find a way of ensuring effective union representation to keep its workforce happy without losing control, she said. Regions like Guangdong, where many multinational companies are based, were very aware of their public image. "Guangdong province likes being known as the workshop of the world but it doesn't want to be known as the sweatshop of the world. The FLA's investigation found a large majority of workers were unaware of the union's activities and collective bargaining agreement, the majority of members of union committee were managers and that candidates for election were often supervisors or senior staff nominated by managers.